Erik Meyer: The trailer talks about the link between horror and cultural life, centering on legend, folklore, and myth, so as it relates to the user experience involved in level/scene exploration, how do you see these aspects of Indonesian identity providing nuanced and specific interactions unlike other common conventions (jump scares, zombies, etc)? Andreas Andika: We’ve developed the trailer and the game in a manner that takes into account Indonesian culture at its core. The main thing that differentiates the specific interactions inside Pamali from other common conventions is that most of the unique interactions are based on a specific taboo or cultural element that takes place in Indonesia. Horror, for Indonesians, is more akin to understanding how to act and when in situations that may seem abnormal. In other words, how to be respectful with those entities we can’t see. EM: Kickstarter has become a hit-and-miss platform for indie game developers, at times providing much-needed capital for games, while also requiring a great deal of time spent on the part of devs. With respect to your first campaign and the current effort, how do you see your connections to backers/feedback/social media contributing to the overall project, and how has this part of your journey affected the studio? AA: Kickstarter for us has been jam packed with lessons. We’re a young team, all fresh graduates, and this project is a passion project of ours. We’ve always wanted to push Indonesian culture to the forefront of the international market and introduce how exotic and mysterious this country may seem to outsiders. Our connections to backers, feedback, and social media have contributed to a series of priceless lessons. This has affected our studio in a manner that is defining in our history. We’ve always strongly believed in communities. We are also always striving to create a community where stories matter. With our noob experience, attempting to execute a Kickstarter and trying to survive day by day has proven challenging, and having our first Kickstarter fail did cause a lot of hurt and anxiety. But we kept with it, put our heads down, and believed in the story we want to tell. By lowering our scope, we reached our relaunched Kickstarter. We were all felt humbled by the whole ordeal and blessed to gain people who believed in what we wanted to say. 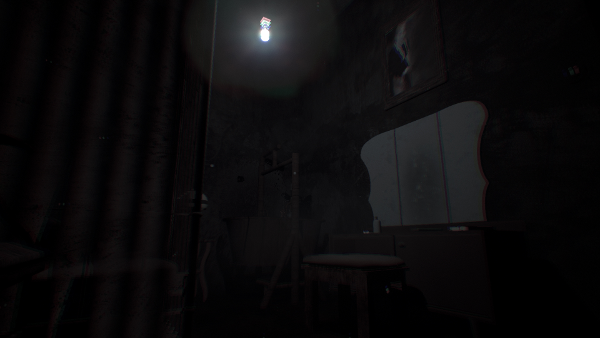 EM: Unique ghosts provide an immediate draw for the project, so I’m interested in the other ways you see yourselves establishing mood and catching the eyes of players. When it comes to visual/audio methods, what is the philosophy that drives asset creation, function, and the writing that uses these otherworldly beings? AA: Our core philosophy when developing each Folklore is pretty simple. We keep it to its truest form. Its most honest form. We try to leave as little touch from us as creators as possible because the stories you experience in Pamali are all based upon real stories we have garnered from Indonesia. Whether it be stories of those close to us or those that are legendary in Indonesia, the game is an amalgamation of all these experiences. We’d like to be messengers of these stories and create these in an interactive form; we aim to have the international community experience what some people in Indonesia have experienced. 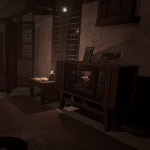 EM: The game uses a Dynamic Horror Engine throughout the stories, so I’m curious about the features you’ve implemented to create responsive elements and play within the scenes. What systems/assets control the environment, and from the technical side of things, what challenges have you faced as developers in making everything coalesce, bug-free? 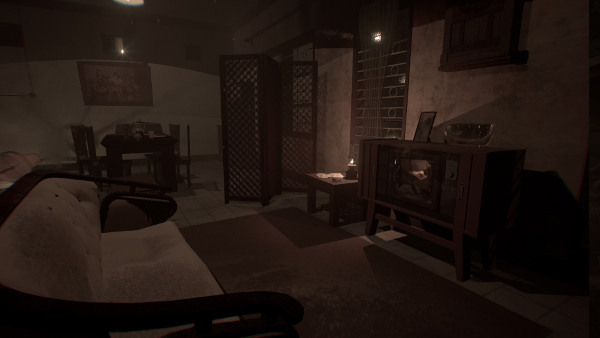 AA: For this system, we had to scrap everything we know about linear horror games. We built our own system for handling events and dealing with how these events can be different depending on prior actions. This was a pretty difficult but meaningful ordeal for us as we were forced to explore a lot of unorthodox avenues regarding on how to build this system as streamlined as possible. One of the core elements in this system is how we manage tension. We’ve been testing a method to simulate the kind of tension you would feel when watching a film. That’s where our inspiration came from. Tension control. Another is the ability to interact with as many objects as possible. We hope that this experience is able to make you rethink your actions when you do something that might be deemed disrespectful in Indonesia. EM: Besides the conventional team titles (like Technical Director or Audio Designer), you have Mira as a Cultural Content Director, which makes sense, given the game’s deep tie to Indonesian society and identity, so I’m interested in how the content goes from genesis to implementation and how the various team members (3d modeler, level designer, etc) coordinate to capture a specific scene while maintaining cultural accuracy. Do you start with a supernatural entity and build an interaction around those capabilities, do you start with a certain type of protagonist, or does something else guide the content creation process? AA: Mira’s role as Cultural Content Director has been fundamental and crucial in our development. She’s the boss in relation to keeping our content true and honest. The general pipeline begins with the development of the narrative, the moral implications, and the core story we want to tell. It continues to the objects and it becomes woven into the general world narrative. From there, we incorporate it into the level and the rest goes on in parallel. Coordination wise, all of us here are multi-disciplined with core responsibilities on a specific role, so at times it may be a case of beauty in chaos. EM: Your team is centered in Bandung, Indonesia; how do you see the local university/dev community influencing your work? Do you see yourselves as part of strong, local game groups, or do you see yourselves operating on an intellectual island, with regard to indie projects? And in following, what do you see setting Bandung apart from other geographic locations, and how do you think the project would be different, were you elsewhere? AA: We’re all fresh graduates, so we fully understand how much collusion happens in Indonesia with the opposite of synthesis in regard to the relationship between game developers and local institutions. We are trying our best by coordinating internships with our past alma maters and working to give back to the institutions we came from. Universities here are often slow to change. With regard to the local game dev community in Bandung, it’s small, but we have events every month. There’s little influence on their part in shaping our project, as it’s more of a community where we are able to share and gain feedback. The core of our feedback comes from our international friends that have joined our beta test list. We have chosen and will stay in Bandung due to its proximity with the local universities. It’s a well-known university city akin to Stanford’s relationship with Silicon Valley. We have high hopes for the potential of what Bandung could become. We think this project would be pretty different if it was elsewhere. Bandung is pretty rich in folklore with regard to paranormal places (ha ha). All of our team members met each other when we were still undergraduates, so I don’t believe this studio would have even been born, were we not here. 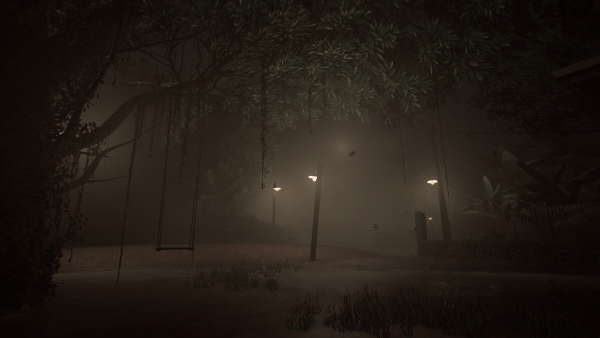 EM: You’ve created a free demo, which gives players a taste of the world. As developers, what do you see as the benefits you gain from putting a preview of your game out into the world, and what kinds of responses have helped you refocus or shape your work, moving ahead? What kinds of feedback do you find helpful, and what surprises have you come across? AA: We believe for a not well known and upcoming studio like ours, a demo is a sort of method you can prove yourself with. It’s a very scary and anxiety-ridden ordeal, but by facing our demons, we have gained more than we could have ever dreamed of. Yes, the game is still buggy here and there, but it gives us hope regarding how much joy we have in learning from these experiences. I mean, if we hadn’t released the demo, you would have never heard of us! Moving ahead, our team strongly believes in the philosophy of proving yourself first, humbling yourself first. Before dedicating ourselves fully to a project. 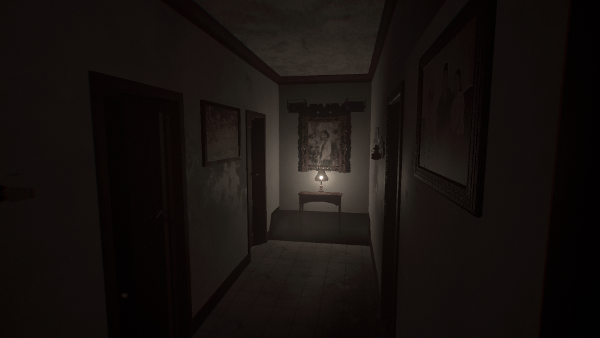 EM: As a broader question, horror as a genre and indie video games as a medium means that within the former, you are working with a style that has existed for a long time, whereas video games made by smaller studios represent a somewhat new phenomena. Where do you see people pushing the boundaries with regard to scary/morbid/creepy experiences, and what do you see as the strengths of interactive electronic media (as opposed to books/movies/radio/board games, etc?). What can you do within this space that inspires you to tell these stories in this way? AA: We strongly believe that games should not just be “games”. But they are an interactive medium. An experience that no other medium can give you. A simulated world where you are able to interact with the system. And the system can interact with you back. Books, movies, radio and board games are not able to do this. To us, this is phenomenal. It gives a window into other worlds that your imagination might not ever take you to. Our mission has always been to tell stories. Starting with local Indonesian stories. With the democratization of current game development, it gives fools like us the ability to create these worlds. If fools like us are able to develop these, I’m sure there are people much wiser and intelligent than us that are also able to take the leap.